When getting stuck in above mentioned situations, stop all activities such as downloading new apps, surfing the web, checking emails, etc on your iPad Pro immediately, or the lost data stored in your iPad Pro's internal memory will be overwritten by new data entry. 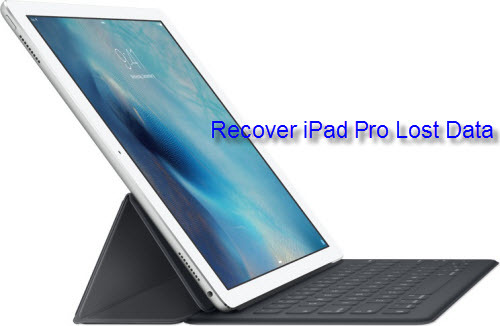 Then perform a data recovery process immediately with a reliable iPad Pro data recovery tool. 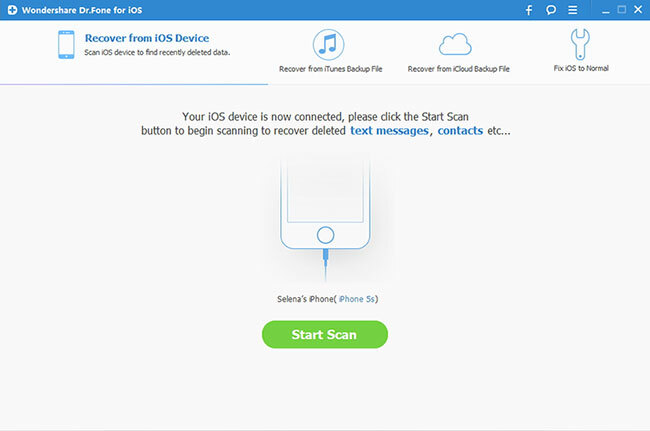 After comparison of 5 best iOS Data Recovery tool, we highly recommend you to download Wondershare iOS Data Recovery for Windows/Mac, which is an omnipotent application to comprehensively recover all deleted or lost text data or media data from iPad Pro. 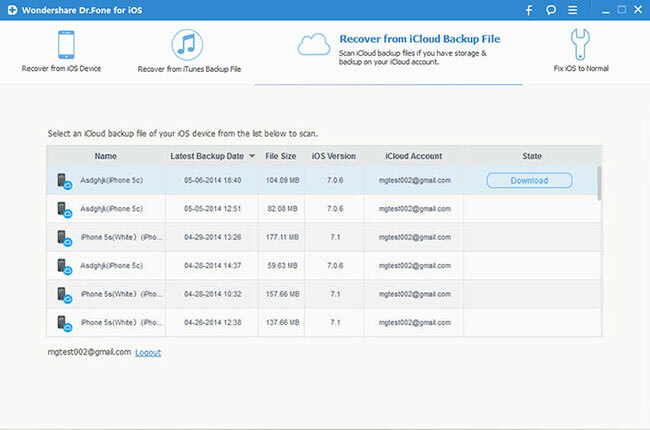 To assist you to maximally restore lost data, the program offers 3 different mode, recover directly from iPad Pro, recover from iTunes backup file, recover from iCloud backup file. 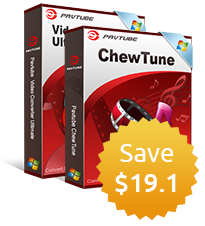 The facilitates you to recover what you actually wanted data files, the program display all found data by file category and file type, you can preview the file with its detailed information to confirm whether it is the file that you desire to recover. Moreover, you can also search for a specific file by typing a keyword in the search box on the top right of the window. The article below will show you how to recover lost or deleted files from iPad Pro respectively. Step 1: Get started by launching the program. Connect your iPad Pro(iOS 9 supported) to your computer. Then run the program and click on the Start Scan button appearing in the window to scan your iPad Pro. Don't disconnect your iPad Pro during the scanning process. Tips: Right now, recover media data such as photos, videos, voice memos directly from iPad Pro is not available with the program. Step 2: Preview and recover iPad Pro lost data. When the scan is complete, you can click the left file category to preview all of the found files one by one. Then selectively recover the items you need and click Recover to save them to your computer or iPad Pro. Now only notes, text messages, and contacts can be saved to your iPad Pro again. 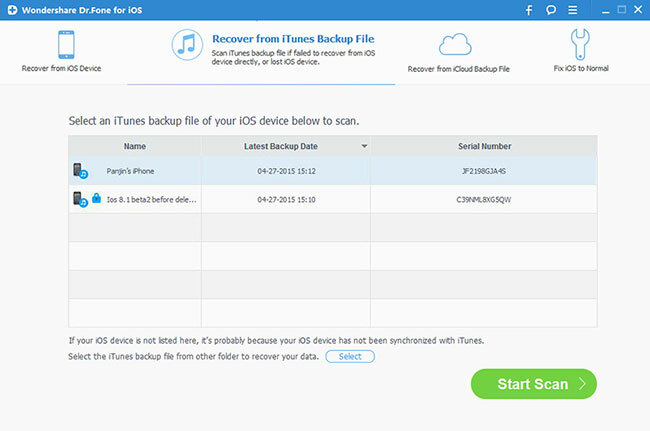 If you've backed up your iPad to iTunes before losing or deleting files, then this way is the best option for you to recover lost data from iPad (iOS 9 available). Choose the "Recovery from iTunes backup file" mode on the top of the window, and all iDevice backups will be shown here. You only need to choose the backup of your iPad Pro and click and proceed to "Start Scan". 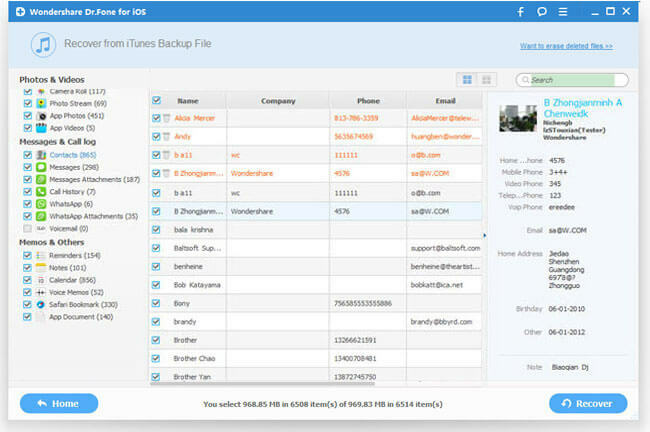 Here all files in iTunes backup file have been sorted into category and displayed, and you can preview and check them one by one. After preview, check those you want back and click "Recover". Right now, when you try to recover deleted or lost text messages, notes, and contacts from iPad Pro, there will be two options: Recover to Device and Recover to Computer. If you want to get the data back to your iPad Pro, then choose 'Recover to Device'. For other file types, you can only recover them to your computer. Click Recover from iCloud Backup File on the top of the program's window. 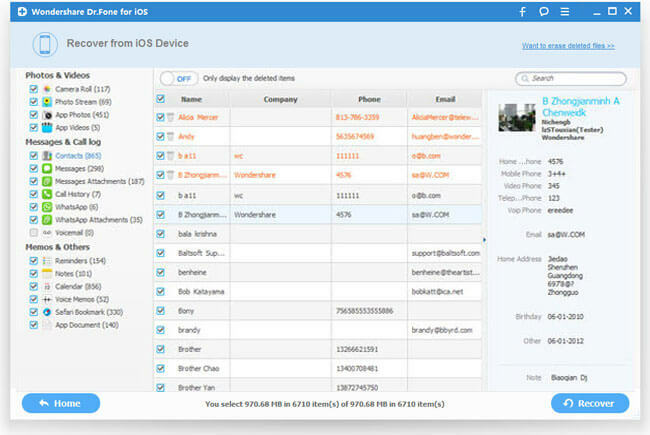 Then log in your iCloud account. After that, choose the backup file you want to download it. To save your time, in the new pop-up, check your needed file types to download. You know, the iCloud backup file is very large. By selecting the file type to download, it will reduce the time spending on the downloading process. 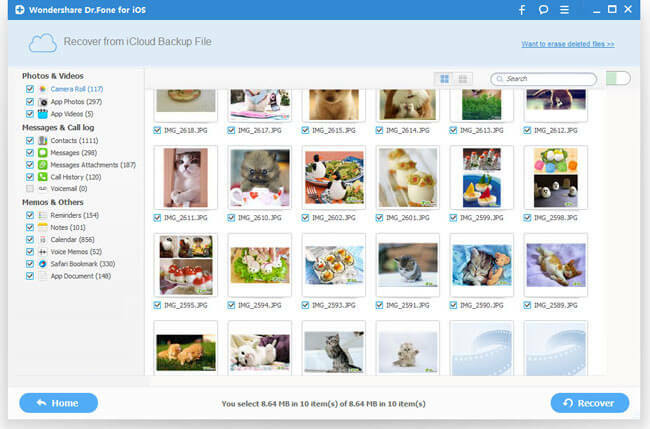 Once the scan stops, you can preview all the extracted files in the iCloud backup file. Choose the files you need and preview them. When you find these files you need, click "Recover" to save them on your computer. As for notes, contacts and messages, you can recover them to your computer or recover them back to your iPad Pro. It's up to you.